Our Cologne store is located just a short distance away from the impressive Apostelnkloster, right between Rudolfplatz and Neumarkt. The doors to our seventh brick and mortar store are wide open to shoe lovers from in and around Cologne. 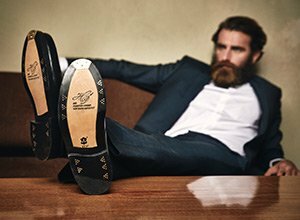 Here, we present our dreamy shoes, stylish accessories and selected shoe care articles in a space measuring over 120 square metres, right at the heart of this German metropolis. You will be dazzled by an up-close look at our sophisticated selection, and will benefit from personal, expert advice.